5.3 earthquake hits south of Panama. 5.0 earthquake hits El Salvador. Cuba – A tornado on 27 January 2019 was registered as an EF4 with a speed of winds that reached 300 km/h, higher than a category four hurricane on the Saffir-Simpson scale. Four people are reported dead and a total of 195 injured.1,238 homes affected, of which 123 are total landslides and 224 completely lost the roof. Eleven health institutions, 46 schools with different levels of damage and 21 day care centers have been affected. 220,000 people remain affected in the electric service. Midwest USA – A life-threatening deep freeze gripped the American Midwest on Wednesday as weather colder than Antarctica grounded flights, disrupted travel and brought life to a standstill for tens of millions. Mail deliveries were suspended, schools and business closed, and residents encouraged to stay home in nearly a dozen states where temperatures overnight sank into the negative double digits, the worst cold to grip the region in a generation with all-time records still under threat. America’s third city Chicago, where the morning temperature was -22 degrees Fahrenheit (-30 Celsius), which felt like -50 degrees (-46 Celsius) with wind chill, was colder than Alaska’s state capital and even colder than parts of Antarctica. Saudi Arabia – At least 12 people have been killed as heavy rain wreaked havoc in Saudi Arabia this week, according to the kingdom’s civil defense authority. The heavy downpours hit mainly the western and northwestern parts of the country close to the border with Jordan. Ten people died in the northwestern city of Tabuk and one each in the holy city of Medina and the northern border areas. Indonesia – A series of floods struck four areas in Kelapa Gading, North Jakarta, on Tuesday evening. “The floods were caused by an overflow of the Bukit Gading Raya Boulevard River Some areas were inundated with floodwater as high as 40 centimeters. 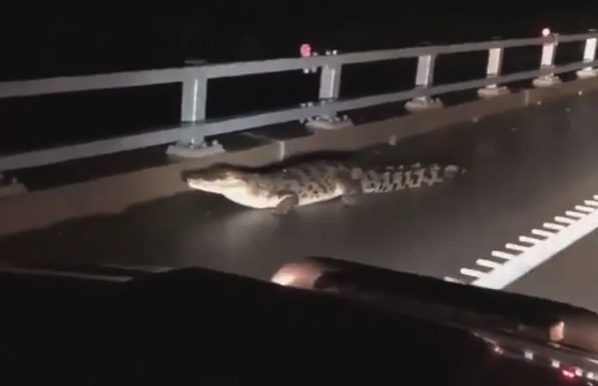 Australia – A Queensland driver has caught the wild moment a 3.5m crocodile walked in front of his car after unprecedented flooding in the north of the state near Cairns. Naval sonar has been linked to mass strandings of otherwise-healthy whales for nearly two decades, but the precise mechanisms of how it affects whales has eluded scientists. Now, researchers have explained key details of how this disruptive signal triggers behavior in some whales that ends in death. Previously, necropsies of beaked whales from multiple stranding incidents found nitrogen bubbles in their body tissues, a hallmark of decompression sickness, or “the bends.” This dangerous condition also affects scuba divers when they rise too rapidly from deep water; it can cause pain, paralysis and even death. Whales are adapted for deep-sea diving, and beaked whales are the record-holders for the longest and deepest dives. 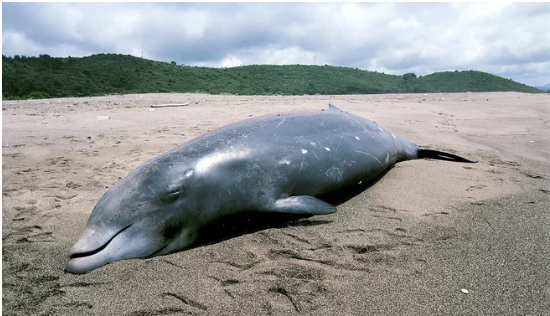 But the new research explains how sonar in certain frequencies disorients and terrifies some beaked whales so much that the experience overrides an important adaptation for deep diving: a slower heartbeat. Extreme fear accelerates a whale’s heart rate, which can lead to decompression sickness; the intense pain of this condition incapacitates the whales, so they strand on beaches and eventually die.